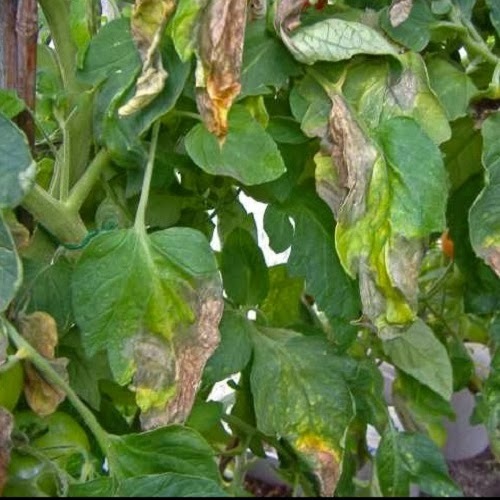 Tomato blight is the scourge of all tomato growers be they working under commercial production or part-time in the garden. 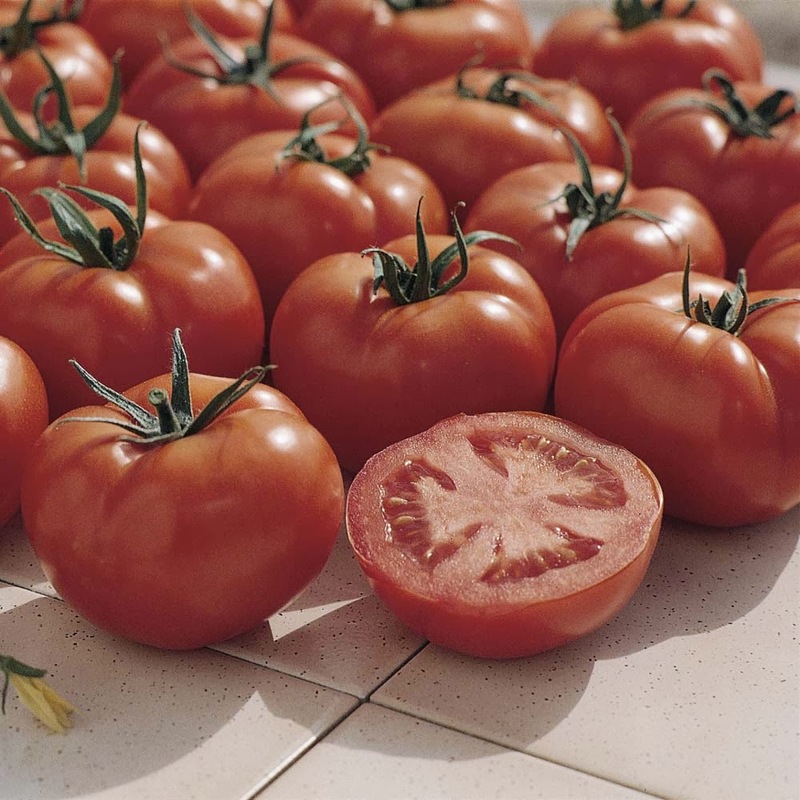 This disease is caused by a fungus-like organism which spreads rapidly through the foliage and fruits of tomatoes. It is a serious disease of outdoor tomatoes and can race through an entire crop in a matter of days - especially in wet weather! Blight thrives in damp humid conditions. 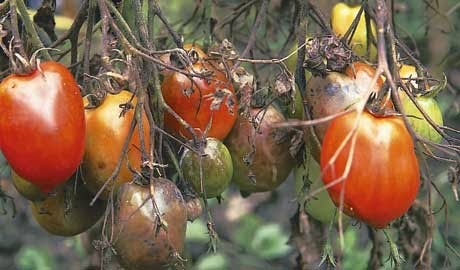 The symptoms of blight are first expressed as a watery, black rot that spreads through the leaves. In a short period of time these collapse, shrivel and turn brown. During humid conditions, a fine white fungal growth may be seen around the edge of the lesions underneath the leaves. Brown lesions may also develop on the stems. If the disease is allowed to spread unchecked, the fungus will begin to attack the fruit rendering it inedible. This stage is easily recognised by the appearance of brown patches on the green fruit. Due to the speed at which this fungus can attack a crop, controlling it is difficult. If spotted quickly enough the you can try spraying with copper based fungicides such as 'Bordeaux Mixture' or 'Fruit and Vegetable Disease Control'. Unfortunately, more effective systemic products do exist but they are not approved for amateur use. In recent trials Tomato 'Ferline' has shown impressive blight tolerance, but it doesn't stop there as it is also resistance to fusarium and verticillium wilt! You can grow these vigorous, indeterminate plants as cordons either under glass or outdoors. Tomato 'Ferline' will produce heavy crops of deep red fruits of up to 5 oz in weight, with a very good flavour. Should you wish to purchase Tomato 'Ferline' seeds then you will find them available at the 'Seeds of Eaden' seed shop.